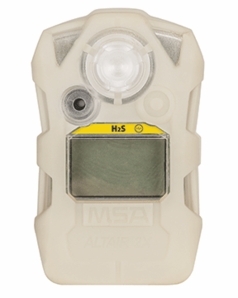 MSA 10154188 ALTAIR 2XP gas detector for the detection of Hydrogen Sulfide in the atmosphere. The Altair 2XP single gas monitor allows a stand-alone bump test anytime, anywhere without specific calibration gas. Altair 2XP model features a fluorescent glow in the dark casing.